Every year, right around the start of the school year, thousands of people start on the process of making their first yearbook. It’s a big responsibility, where unsuspecting parents and teacher volunteers are asked, “Can you help a little with the yearbook this year.” Unbeknownst to them are the hours of work, of editing, of collecting photos, and trying to one-up the book from years past. 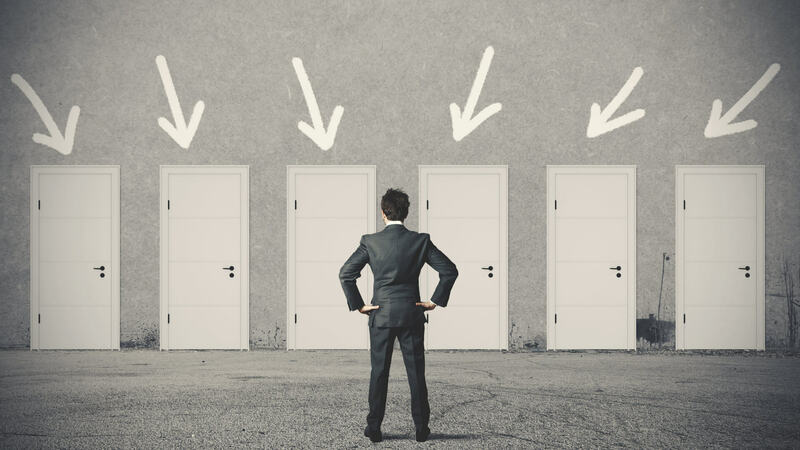 We see people grappling with this question all the time, “How do I pick the right yearbook company to work with? Choosing the right yearbook company can mean saving scores of hours of work. Also, for those hours you do get to spend on the yearbook, the right company can help determine how enjoyable those hours will be. Picking the wrong company can make you feel left out on your own, making you feel like you’re the first person to ever make a yearbook. I’ve been CEO of Entourage Yearbooks for over 12 years now and these are 5 tips from the yearbook company side that I hope can be helpful to people about to start their first yearbook. The first step is to compile a list of yearbook companies you’d like to get proposals from. I always recommend starting with the yearbook companies the school has worked with in the past and see if you can get some history. Of course Googling “top rated yearbook companies” or “yearbook company reviews” is a good way to find options as well. 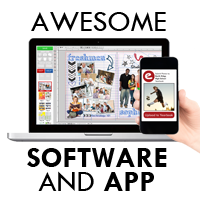 There are generally two types of yearbook companies that you find online. There are companies that are dedicated to making yearbooks, and then there are companies that are more like commercial printers that make school yearbooks as one of many products. Though the final book product might look similar, there’s a big difference in the service and software between these two types of yearbook companies. 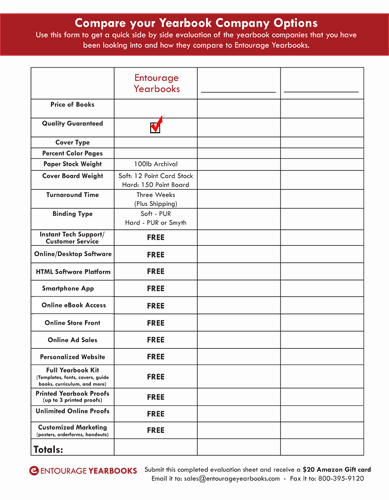 Dedicated yearbook companies will offer a slew of free services like printed marketing materials, design review services, free yearbook software, and a dedicated yearbook account manager. Commercial printing companies will usually recommend a third party yearbook software and generally don’t provide the variety of school support services that dedicated yearbook companies provide. I recommend trying to get to a list of 3 to 5 companies to compare. Get pricing and proposal material from each to see what services they provide. Comparing yearbook companies can be much more than just comparing the price of how much it costs to print a book. At Entourage, we’ve put together a list of about 20 categories of comparison to make it easier to do more of an apples-to-apples comparison on yearbook services. You can download a copy of the yearbook company comparison form here. The first thing to compare is the sample yearbook book. Every yearbook company should be able to send you a sample of a yearbook they have produced. The sample is generally and indicator of the the best printing quality that company can do, so take a look carefully. You’ll want to compare the feel of the book, the quality of the page designs, the quality of how the photos are printed. I also always recommend a “pull test” where you pull on the pages, make sure that the binding will hold up to how the students will be using the book. Next, you’ll want to compare terms and services. Today, almost all modern yearbook companies will offer flexible terms and no quantity commitments, so make sure to also compare other things that are important to you. Being able to sell yearbooks online is a big trend. Also, does the company provide free printed marketing material? And, do they have other schools they work with in the area? These are great questions to compare different yearbook company services. The online website and design software is going to be where you spend hours of time and making sure you like the yearbook software is a key part to enjoying the process of making a yearbook. Every yearbook company should be able to provide you with an account to try their software. If you have time, try building a first page, uploading some photos. That should give you a good idea of the feel of their software. Ask the yearbook company to build a few pages for you. The hardest part of building yearbooks is generally starting from the first blank page. Most yearbook companies should be able to take a few photos and build a few pages for you. This should take a big chunk of the learning curve out of learning new software. Watch their yearbook software videos. Watching a 1 to 3 minute video showcasing some of the features of the software should make it easier to get a feel of what the system will be like. Check their library of book designs. Take a look at other books that have been made with the software. Do they look like the book you want to design. Check the library of templates and clip-art. By getting a feel of their library of designs, you’ll get a quick idea of the type of book you can design with their software. I would suspect all yearbook companies are going to tout how great their customer service is and how much they are going to be there for you when you need them. But I believe you’ll find that doing a little testing of the customer service capabilities of the company will show that there will be companies that are better and worse at this. The first thing to check is to see what are the hours of operations for getting customer service. Do they provide support at night? How about the weekends? What is the average response time for phone calls, emails, and chat support? All yearbook companies should be able to readily provide this information. The next step is to check the service. Send in an email to their customer support and see how long the response takes. Call into the customer support line and see how long it takes for someone to answer or if you find yourself leaving a voicemail. A few checks before selecting a yearbook company will help avoid the circumstance where you’re waiting for the yearbook company to get back to you all the time. Marketing posters and flyers – yearbook companies are generally printing companies at their core so asking for a few dozen posters and a few hundred flyers to pass out around the school should be easy for them to accommodate. Printed proof books – I always see a strong correlation between schools that request printed proof books and schools that have less problems editing their yearbook. Make sure you can get a FREE printed proof book before you finalize your book. Ideally, you should get a few printed proofs of your yearbook as you make progress through the year. Cover designs – Yearbooks are generally recognized as one of the only books that you do judge by its cover. If there’s a logo you need help creating, or if you want to some creative design ideas for your cover, a good yearbook company should be willing to help with some mock-up designs. Mobile apps and online tools to collect photos – Having access to some free tools like a free mobile app to collect photos or online tools for photo editing can save you time and money. See what FREE tools your company has to offer. As the CEO of Entourage, I always love for schools to choose us for their yearbook needs. We have been committed to being the best next-generation yearbook company and have grown to serving thousands of schools because of that commitment. But, I truly respect that schools must choose the right company for themselves and make sure they have evaluated their options thoroughly and in a balanced way for their communities. Whatever yearbook company you choose, I hope you create great yearbooks, have fun making them, and help make yearbooks accessible for everyone! If you have any questions or would like to know more about Entourage, please feel free to leave your comments below.